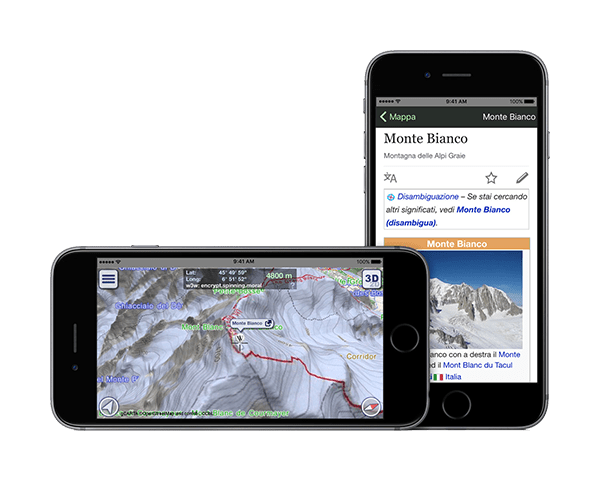 gCARTA, is continuously updated and full of details for experienced hikers, but also easy for beginners. 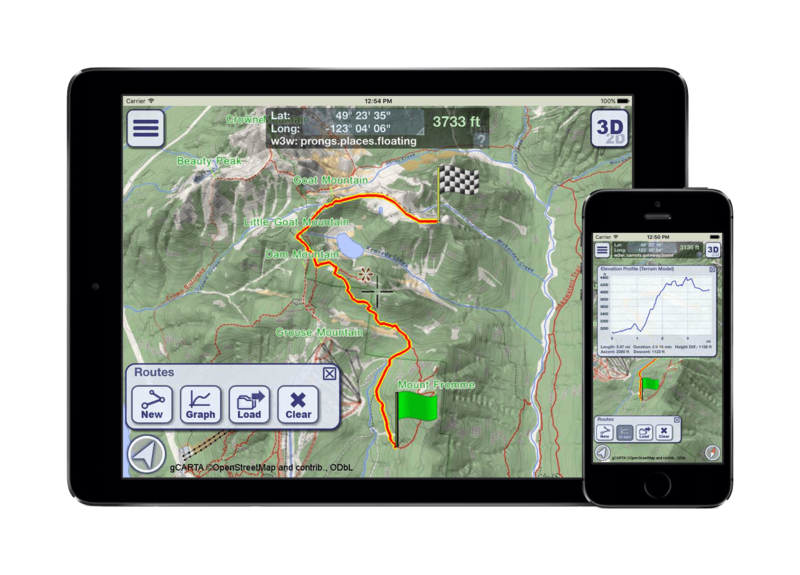 GeoMind is able to create customized versions of maps, enriching it with custom data supplied by the customer. 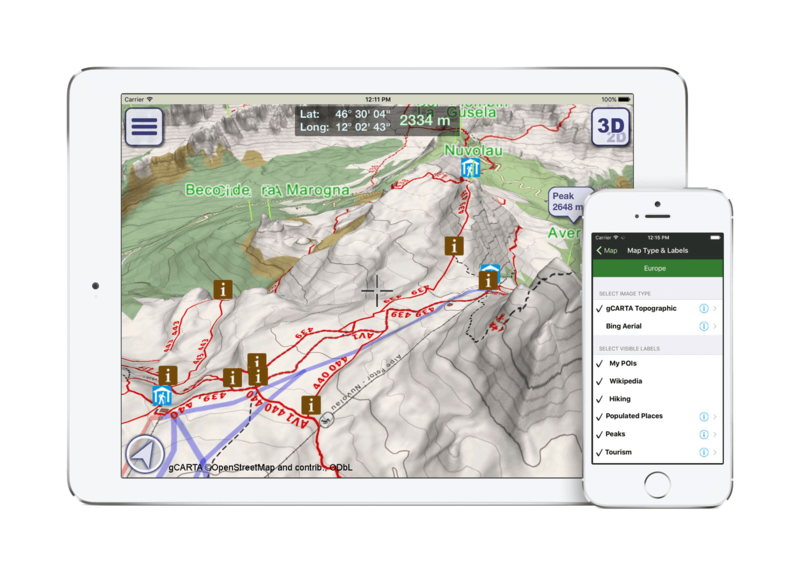 GeoFlyer 3D Maps are applications for smartphones and tablets, produced by GeoMind, which use gCARTA to accompany you on your excursions: the 3D terrain covered with gCARTA shows paths, contour lines and lots of POIs. Join the lots users of the OpenStreetMap community and help to expand the database with new data that you will find on gCARTA at the next update.